Walsine Pierce: BEST LAID PLANS OF MICE AND MEN: Gang Aft Agley! to see oursel's as other see us! It wad frae monie a blunder free us. We have as a dinner guest tonight, Renee Martin. I love to tease her about being from New York. She is and it shows. She has a very important, and critical, position with a large firm. Her job involves a lot of travel and we do not see enough of Renee. I asked her tonight what she had planned for the Memorial Day weekend. Her answer was typical, NOTHING". A guarded but predictable answer, I'm sure she wondered "Whats this guy up to now?". Although, as my grandson Riley says, "I am older than dirt", I really enjoy the good life that is made possible with 20+ years of retirement, good health, and planning. I am working out the plans for another cross country bike ride, this time backed up with a van. I want to ride part or all of the Katy Trail in Missouri, visit a friend in Golden, Colorado, riding a local trail, and driving on to Simi Valley, California to visit a class mate of some 62 years. On the way home, I want to ride the Coure d'Alene Trail in Idaho and the Hiawatha Trail in Wisconsin. I need about four months to get into shape to ride. I am 12 months into a projected 18th month recovery from a total replacement of my left hip. During the year of inactivity, I have undergone severe muscle distrophy. I'll get it back! Planning a late May, early June, trip, I want to avoid the Memorial Day traffic. 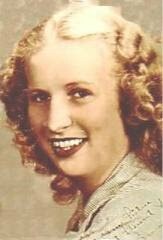 So, I'm planning to spend that holiday weekend visiting my friend, Maude, a 1948 high school classmate, in Simi Valley. Although we have not visited in person since our 50 year class reunion in 1998, we stay in touch by email. Maude is helping me with a writing project which has been on hold by ongoing computer problems since October. In response to a blog I wrote about dinner at a Mexican restaurant, we have a few here in Northeast Ohio, Maude described her favorite in Simi Valley. Do they ever have the Mexican restaurants in Simi Valley? Would you believe six on Los Angeles Avenue alone? Side-by-side Mexican restaurants! Maude described a favorite drink they made for her. We'll surly check all that out. Un Huh! Oh! Yes. 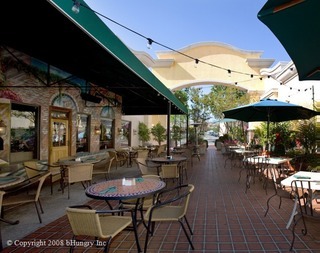 In the mild California weather, you can eat out-of-doors, as seen in this picture taken at Senior Gomez's. I love to eat outside. There are two museums I want to visit in that neck-of-the-woods. 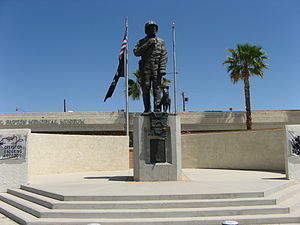 The Reagan Library is in Simi Valley and the Gen. George S. Patton, a silent mentor in my life, has a museum near Indio, California, about 50 miles east of Simi Valley. A three day visit will go by so fast. We will not get our talk out in that time. But, hope springs eternal, our 75th class reunion is only 11 years away. Save me a dance, Maude. We'll be into our 90s by then. Will this all come to pass as planned? Who knows. "The best laid plans of mice and men Gang aft agley." What's important is that I have the plans. That not only brings about a wonderful experience four and a half months from now, it brings me joy as I write this blog. It inspires me to lose weight and get in shape for the ride. What's new, different and exciting in your life? Think about it!